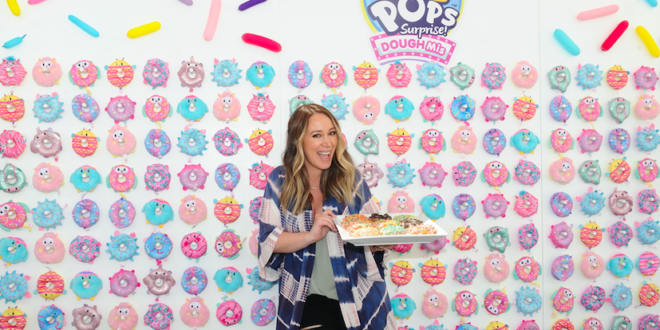 Actress, cookbook author and kids’ fashion designer, Haylie Duff played second fiddle at an exclusive Los Angeles launch event over the weekend, where the star of the show was Moose Toys’ new Pikmi Pops DoughMi range. The new doughnut-themed plush range from Moose Toys’ Pikmi Pops line took centre stage at an event that welcomed families, foodies and kids of all ages for doughnut-themed activities, that included a wall of some more than 300 plush doughnuts. Actress and children’s star, Duff hosted the event. Toy YouTubers CookieSwirlIC, the GEM Sisters, Two Sisters Toy Style and Tic Tac Toy were also in attendance and hosted meet and greets with fans. “We love our new Pikmi Pops DoughMi line, and it was so fun to see how much joy the toy brought to kids today,” said Alex Ries, senior vice president, head of US marketing and strategy, Moose Toys.